First I want to express how happy it makes me to know you’re all out there making lovely things with my crochet patterns. I can’t tell you enough how giddy I get when you send me photos or tag me on Instagram and Facebook 🙂 Secondly, I super duper appreciate those of you who have brought up questions, typos, and errors in my patterns. It helps so much! 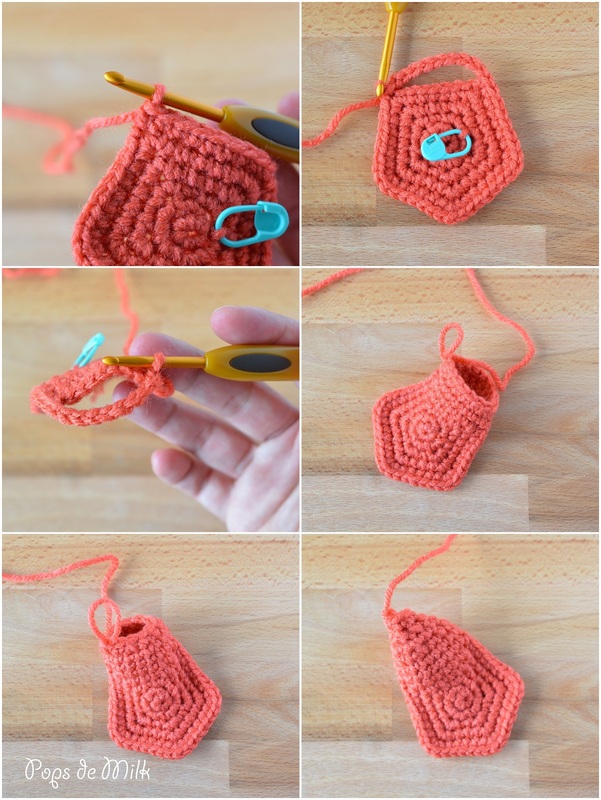 As an appreciation I wanted to tackle one pattern that has been causing a bit of confusion. The starfish amigurumi. I made this starfish when I was still learning how to design my own patterns and I felt so accomplished. This was one of those patterns that required quite a bit of creativity in order to minimize the amount of sewing. Years later, reading over the instructions I can see how they may not be clear. I can also see that the original photo shows longer limbs than what the pattern produces. How did that happen? 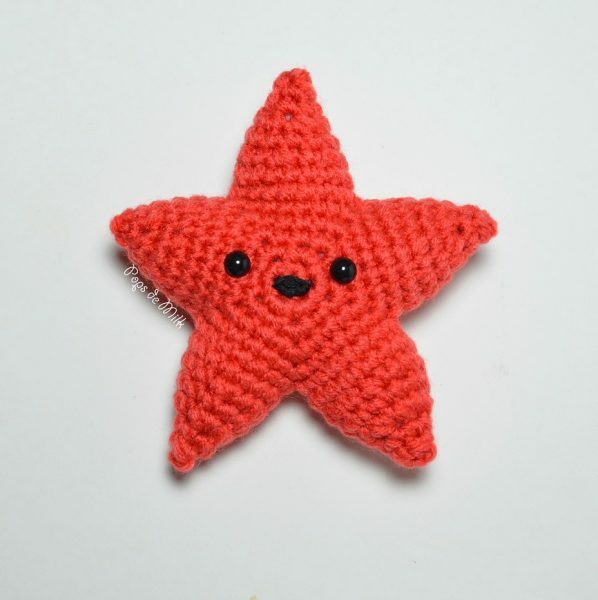 Sadly, I’m not able to consult the original starfish because it went on to a forever home. 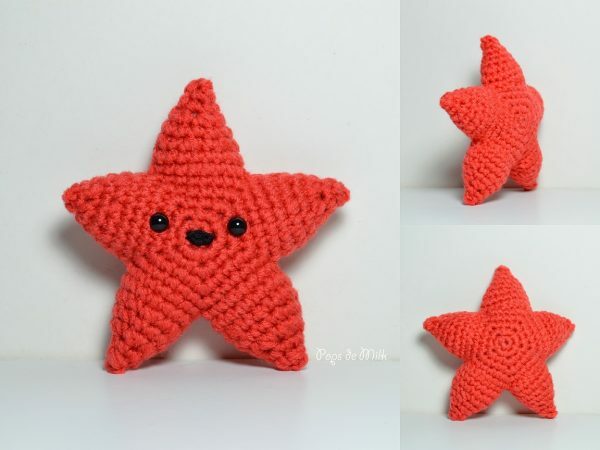 But now, armed with a bit more knowledge and experience, I give you a revised starfish pattern and photos! Finished size is approx. 5 inches. Pattern Notes: Start by making 2 pentagons as explained below, fasten off the first but do not fasten off the second pentagon. When starting the arms make the first round of stitches along the newly made chains, then the next stitch is made in the same space as the start of the chain and finally the last stitch is made in the same space where the chains were slip stitched to. 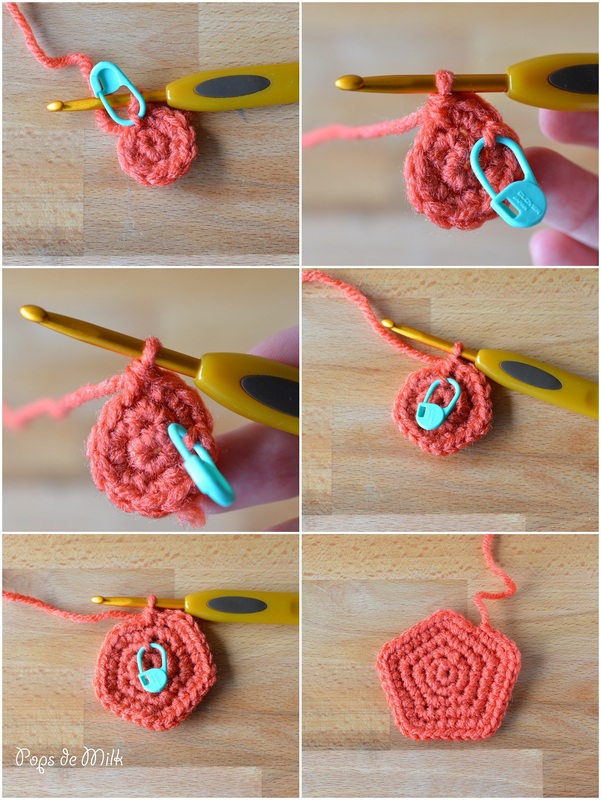 This creates a total of 18 stitches to work in continuous rounds. Repeat the same steps for the remaining arms. 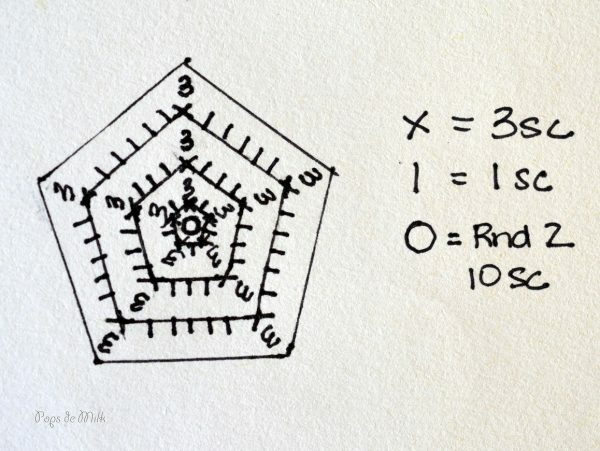 The points of the pentagon are created by making inc3 in the center stitch of each inc3. Observe my wonderful drawing! Round 1: Start 5 sc in ring. Continue to dec until closed. Fasten off and weave in ends. 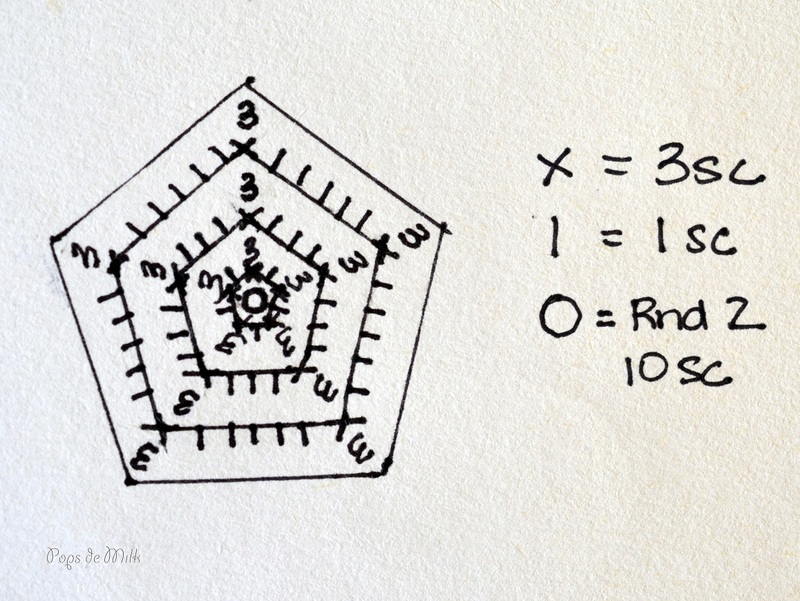 To continue making the rest of the arms, pick up a stitch in the next point of the pentagon and repeat the process. Stuff the arms with fibrefill and embroider the face/add safety eyes to the pentagon. Take the fastened off pentagon, align it with the back and sew to body, stuffing with fiberfill as you go along. LOVE the starfish! 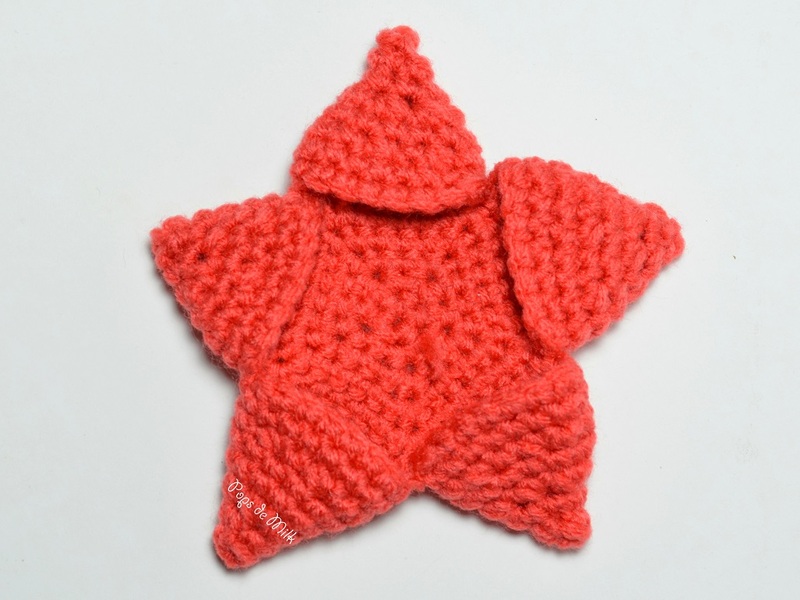 I plan on making one for my niece! Thank you for the free patterns, they really do help to keep me busy. And same for the next round. 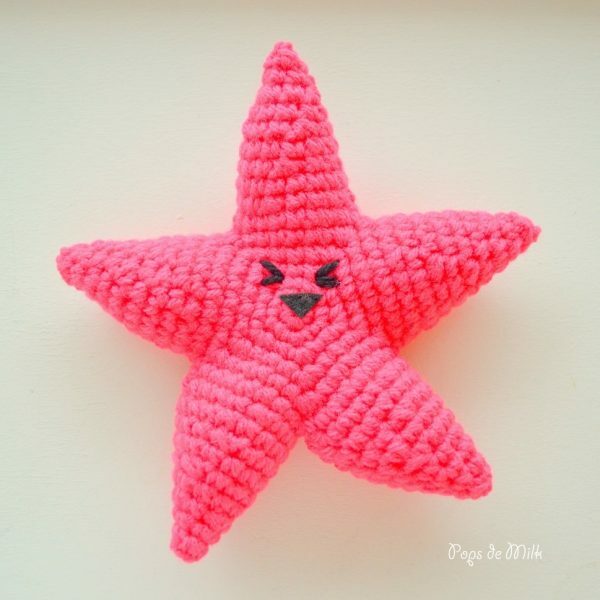 Otherwise you get too many stitches between 2 points in the starfish. :)You would get 6 sts between one point in round 4, instead of 3.